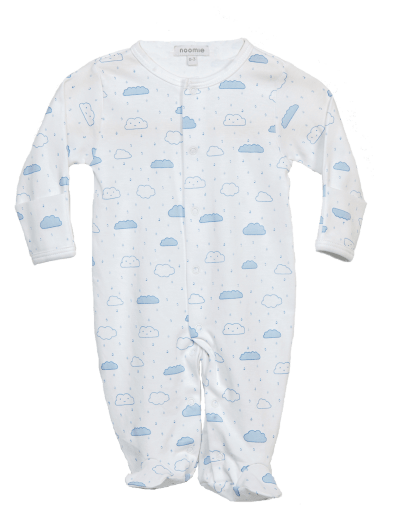 Send them off to Dream Land in Baby Noomie’s cloud pajamas for kids. We craft front-snap footies, two-piece PJs, and blankets girls and boys love. Our cloud print baby clothes and accessories are unbelievably soft—so what’s our secret? 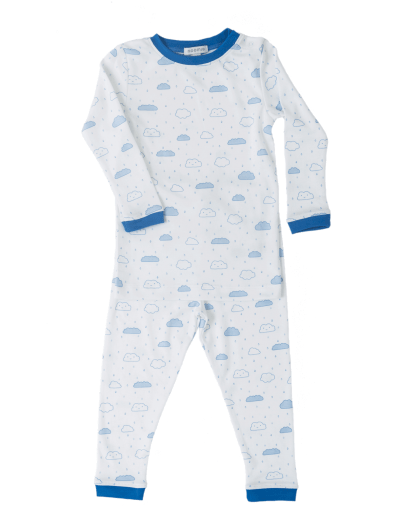 We use Pima cotton, one of the best materials in the world, to create our cloud pajamas for kids. 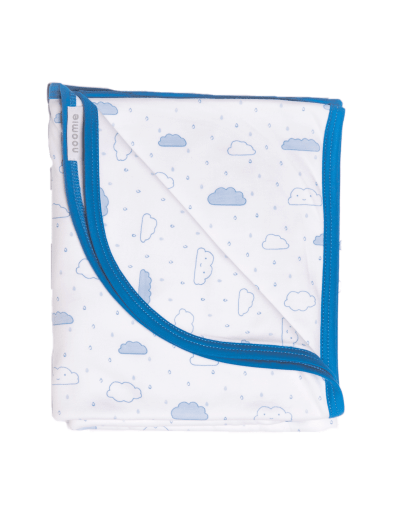 It’s a soft, durable, and hypoallergenic fabric that keeps up with kids day in and day out. After all, there’s nothing better than running around the house in cozy pajamas! 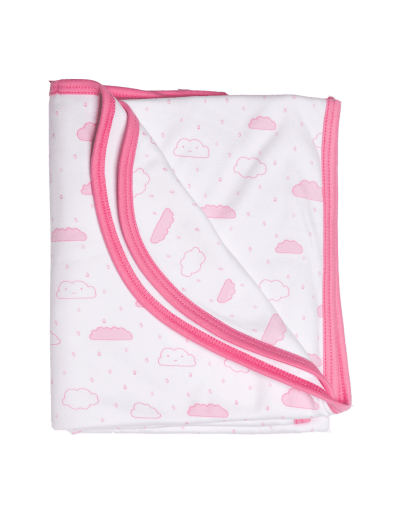 Available in pink and blue designs, shop Baby Noomie’s cloud print baby clothes and accessories today.